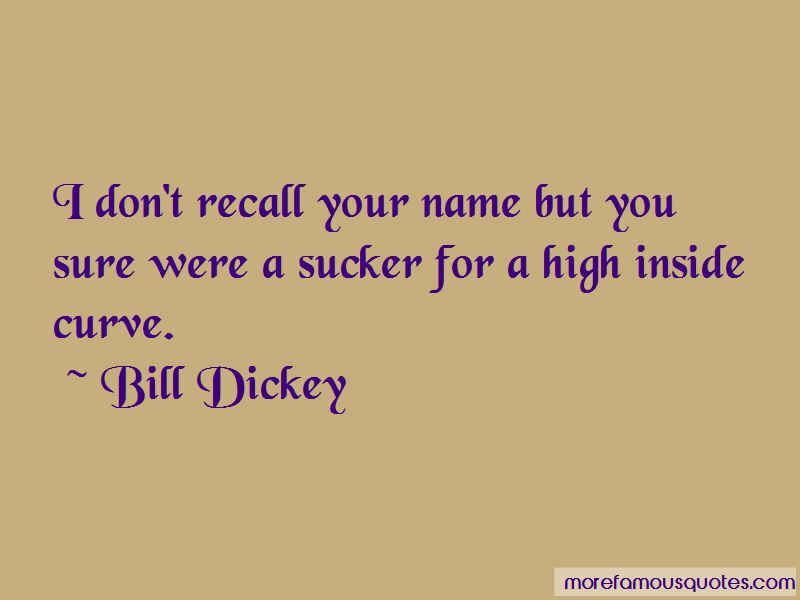 Enjoy the top 7 famous quotes, sayings and quotations by Bill Dickey. 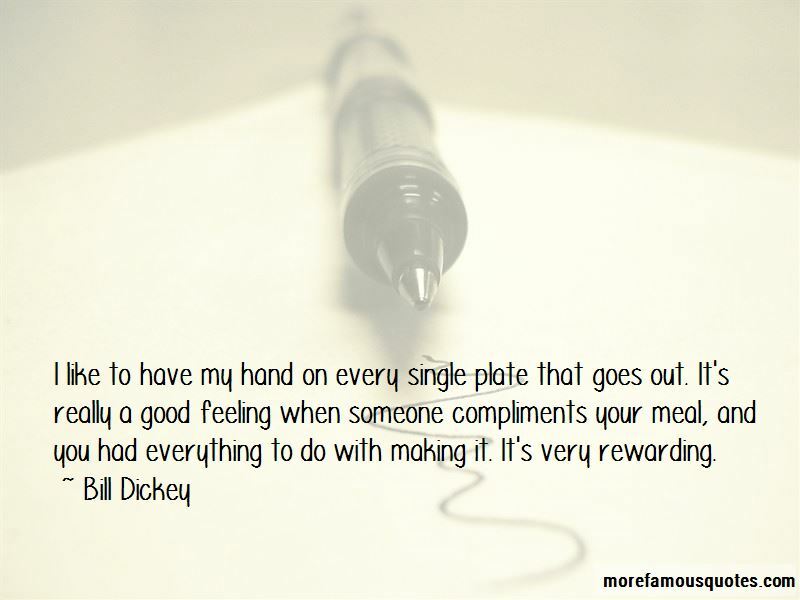 I like to have my hand on every single plate that goes out. It's really a good feeling when someone compliments your meal, and you had everything to do with making it. It's very rewarding. He (Babe Ruth) hits a ball harder and further than any man I ever saw. 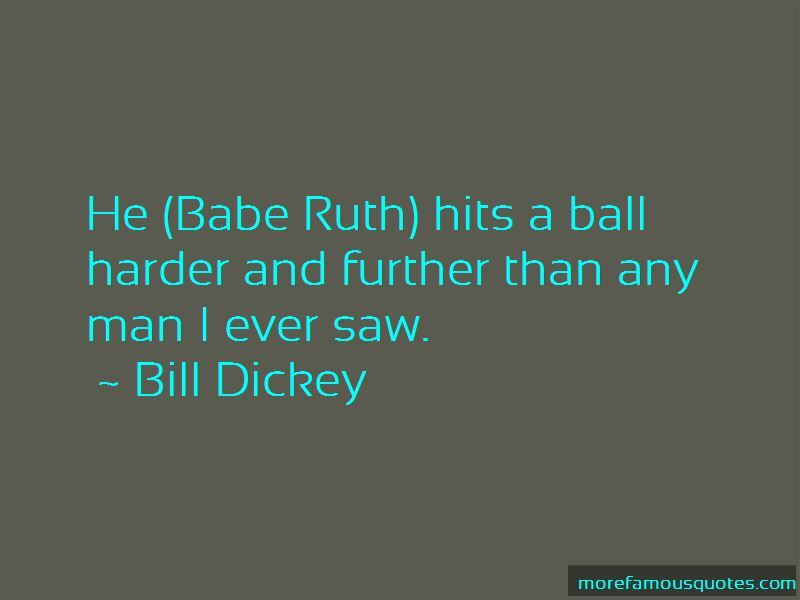 Want to see more pictures of Bill Dickey quotes? 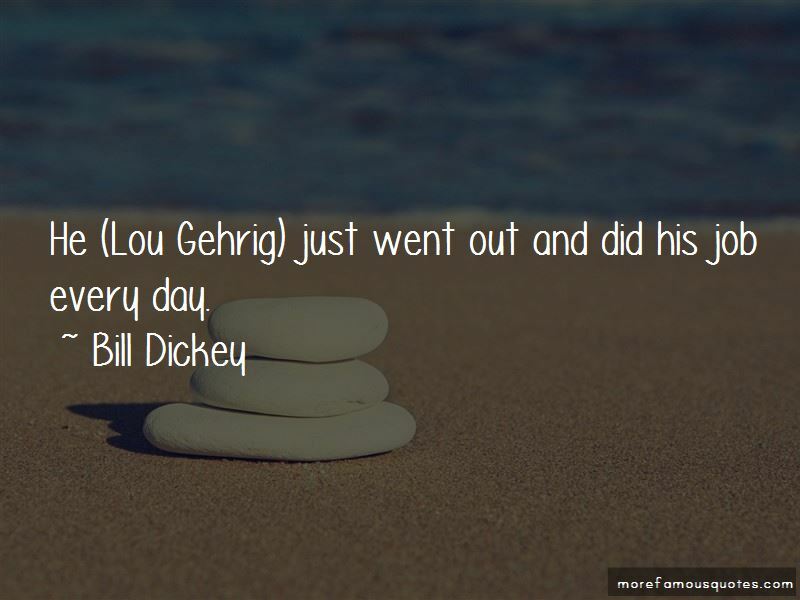 Click on image of Bill Dickey quotes to view full size. “What is style but a form of silent speech? When I put together an outfit to wear, I am putting together chapters of” — C. JoyBell C.